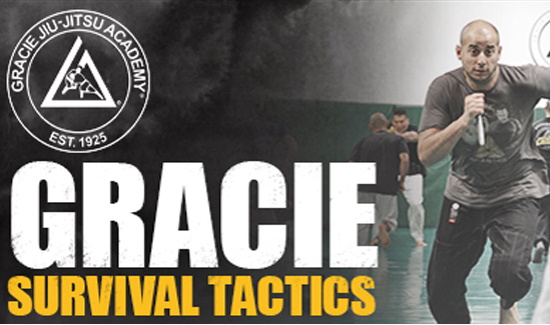 Don’t miss this year’s final Gracie Survival Tactics Instructor Certification taking place on the East Coast. The Gracie Survival Tactics (GST) Military/Law Enforcement Instructor Certification Course is a 5-day “Train-the-Trainer” course during which all participants learn the techniques and teaching methodologies necessary to return home and effectively transfer the Gracie Survival Tactics (GST) to the other members of their organizations. Although no experience is necessary to participate in the 30-hour course, participants should know that participation does not guarantee certification. By the end of the training week, only the participants who meet the Gracie Academy standard for technical execution and instruction will qualify for certification. Space is still available, but don’t wait—reserve your spot today! PLUS: 10% off for APBWeb.com readers and American Police Beat subscribers. CLICK HERE or call 310-353-4100, ext. 0 today to lock in your reservation.